One of the most exciting parts of God's plan for us is revealed by Paul in 1 Cor 15 : 20 - 28. First Corinthians 15 is known as the resurrection chapter - a sneak peek into some aspects of the future. These few verses from the resurrection chapter give us an overview of the purpose, the process and the final result of God's program during the ages on earth, the highlight of which is God's promise to resurrect all of his creation to life and to destroy death. Death is probably our worst enemy, the thing we fear most, especially as we head towards the twilight years of our lives or find ourselves in a life-threatening situation. So it is very exciting to hear from Paul that death will eventually be destroyed, no longer to exist. Can you even imagine a world without sin or death? Well, it's coming ...... but not for a while. Let's examine these verses and see how we get to it. Just as exciting as waiting for death to be destroyed, Paul tells us that death is not even to be feared now. Jesus showed by his resurrection that death could be overcome and Paul tells us that Jesus, in doing that, became the firstfruits of all who die. The firstfruits was a concept that every one of Paul's contemporaries would have understood. We can read about it in Leviticus 23. Just before the main barley harvest, a few sheaves were harvested and offered to God. These were called the firstfruits of the crop. No barley could be bought or sold, no bread could be made from new flour, until the firstfruits had been presented and accepted. The firstfruits were a sign or guarantee of the harvest to come. Paul, in using this familiar picture, was proclaiming that the resurrection of Jesus was a sign or guarantee of the resurrection of all who had died or would die. In God's plan, a man, Adam, was used to introduce death into the human race; and equally a man would be needed to take it out again. That Man was Jesus who, through his resurrection, brought life back to humankind, indeed became the guarantee that all afflicted by the death of Adam would receive life through Jesus. Paul emphasises how comprehensive both of these actions were. Death came to all of us because of one man's actions; life will come to all of us because of another Man's actions. An interesting aside here is to consider that neither the action of Adam, nor the response of Christ, required our permission or "freewill" acceptance. We were not even consulted on the matter. Adam threw us into the realm of death and Jesus thrust us back into life again. All of us. And we had no say in any of it. Indeed, if life is not the result of Jesus' actions, we would have to conclude that Adam was more effective than Jesus. And if that were the case, we would be saying that the created being (Adam) was more powerful than the Creator (Jesus), or, that death in Adam was more powerful than life in Christ. Paul then describes the order in which this resurrection to life will occur. Christ first, of course, then those who belong to him at his coming, his saints, then the end group, those who are last to gain life. It is after the resurrection of this end group that Jesus hands his kingdom over to his Father since the work he has been given to do has now been completed - all have now been resurrected to life and there is no rule or authority or power remaining other than his. Isn't this so exciting? Even as I am writing this, I am having to stop to celebrate. Wow! Praise God! Paul explains further that Jesus could not hand his kingdom over to God until all opposition to it had been subdued. As with all of us, all opposition to God's plan in our lives is dissolved when God gives us the faith to repent of our sin, acknowledge Jesus as Saviour and Lord, and willingly submit to his kingly rule in our lives. We are then told what is the last opposition and hindrance to his kingdom to be subdued, to be destroyed. Many think that Satan will be the last. But no, it is death, spiritual death. Death is the consequence of sin which separates us from God and his Lordship in our lives. Adam and Eve sinned, and experienced death and separation from God when they decided to go their own way and make their own choices about what was right and wrong rather than obey God and follow his directions. If death is destroyed at the end, then only life can be remaining. No-one any longer will suffer death and therefore separation from God; everyone will be alive, reconciled to God and in fellowship with him. Why should we ever think that this would not be the case? Who would think that even an earthly parent would not want to use all the resources available to them to ensure their family lived in harmony with them forever? And why should not God, the most loving and resource-rich parent of all, not arrange such a happy and victorious ending for himself and his family? It's not a matter of who gets there and who doesn't. Nor is a matter of who gets there first. We all get there in the end - all of God's creation alive and in fellowship with God and with each other. That's the result of death being destroyed - the death of death - all will be alive. Wow! Since John the Apostle was referred to as "the disciple whom Jesus loved", and the one who even leaned back against Jesus while they were reclining at the table during an evening meal, it seems reasonable that John knew Jesus very well, and probably better than most others. What John had to say about Jesus is therefore worth noting. Let's look at some of John's jottings that might confirm our view that the scope of Jesus' ministry was all encompassing, universal in every way. It seems there was no doubt in John's mind about the nature or extent of the mission of his friend, Jesus. He was to reverse everything the devil had done by dying for the sin of the world and saving everyone who was to be or would become a part of it. That sounds pretty inclusive and universal too, doesn't it? Have been working on the website design for the last couple of weeks and have changed my thinking quite a bit since I last thought seriously about it. I have reduced the range of studies to be published on this site (and in the proposed book), and will include the omitted studies on separate websites (and in separate books) subsequently. It became clear that the scope of the original website was too large and possibly overpowering, and it would have taken too long to get enough written on such a range of topics to enable the website to be launched in a reasonable timeframe. The home page will show a heading, that you can already see by pointing your browser to http://users.ncable.net.au/~barrytatt/images/header_features.jpg, a welcome message and a list of the study areas (as above). A draft of the welcome message is here, and as always, your comment and critical review are invited. Welcome to our space on the web for exploring the truth about God and his plans for us, both on this planet and beyond. Mainstream christianity has differing beliefs about such things, some of which can not be supported by a correctly translated Bible, which has led to confusion and even cynicism about what the Bible teaches. Over the coming year, we will add articles to the site to help readers discover a more realistic and rational basis of belief, and particularly to discover how extravagant and extensive is God's amazing grace. Even if we don't fully achieve this aim, we trust we will at least challenge readers to think about what they believe in light of what the Bible REALLY says when stripped of man's tradition, prejudice and irrational thinking. At the very minimum, we hope to promote a greater respect for God, his character and his intentions, and a greater respect for the integrity of God's Word, the Bible. So welcome ..... enjoy the journey with us. We have all heard many times the excuse for not coming to church as, "The church is full of hypocrites." On hearing this, I would usually talk about our sinful weakness, even though we are saved, and the need for those in the church to be refined and matured towards God-likeness over time. I still think this is true. Yet, I think mainstream christianity has a lot to answer for nevertheless. I have seen books written recently with titles like "How to Quit Church Without Quitting God", "So You Don't Want to go to Church Anymore", "7 Biblical Truths You Won't Hear in Church", "I'm Fine with God ... It's Christians I Can't Stand", among others. I have read several of these and have agreed with much that is in them. It's interesting that the mainstream religion of the Old Covenant era was described in a similar fashion. Isaiah reports that God accused Israel of being responsible for having his name constantly blasphemed. Ezekiel was just as damning. "Therefore say to the house of Israel, 'This is what the Sovereign Lord says: It is not for your sake, O House of Israel, that I am going to do these things, but for the sake of my holy name, which you have profaned among the nations where you have gone.'" Those familiar with the Bible are well aware of the ways in which Israel profaned God's name, but we are often blind to the ways we have done so. We too, are guilty of the same hypocrisy they were. We say one thing, and preach or act in a quite opposite way. Mainstream christianity says that God loves us unconditionally, but then preaches that this is true only on the condition that we love him in return. Mainstream christianity says that we are saved by grace alone, but then preaches that this is not true, we are required to take some action ourselves, and right now by the way. Mainstream christianity says that God is the Saviour of all, but then preaches that most people will not be saved but will be tormented in hell forever. What do not-yet-believers make of all of this? How do they respond? Confused. Frustrated. Cynical. Antagonistic. Disinterested. I wonder why the mainstream churches are becoming empty and only the entertainment style churches are growing in the western world? Any thinking outsider is more likely to respond with, "I'm fine with God... it's christians I can't stand," than join God's latest bunch of hypocrites. Boy doesn't God take a risk in allowing humans to represent him? Even when they are "his chosen" under the Old Covenant or "the saints" under the New. It's pretty sobering to realise that the heathen are not accused of profaning God's name, only God's people. I have been reluctant to expose this hypocrisy and share these Bible truths strongly in the past. Why? What would happen to the positions I hold, the respect of other christian leaders I enjoy or the close friendships I value? I have my similarities with the first century followers of Jesus. No-one would say anything publicly about Jesus at the Feast of Tabernacles celebrations for fear of the Jewish leaders, the leaders of the mainstream religion of the time. Joseph of Arimathea and Nicodemus buried Jesus' body secretly (probably at night) for fear of those same leaders. On the evening of Jesus' resurrection, his disciples were meeting behind locked doors because of their fear of the Jewish leaders rather than proudly and publicly announcing the good news of Jesus being alive, having conquered death as he predicted he would. So here I am with the good good news of God's unconditional love and extravagant grace that needs to be proudly and publicly announced and preached. How am I to do this is my big question? I have now retired and no longer hold any of those precious mainstream church positions. Indeed, the more public I become about this, the more likely I am to remain retired. :-) The need to have the respect of other christian leaders is not as important as it was, and friendships will surely sort themselves out as being close or not. The proposed book will be the end result of the website that will be generated mainly from this blogsite. The website and book will be widely advertised, even though the blog is only for friends. That's as far as I have travelled with this question. Any suggestions? Using the comments section under this post for brainstorming this over the next few months would be appreciated. Barry. Sorry I haven't written much lately, but have been designing the website in readiness for articles that survive the QA process of the blog. However I would like to ask specifically for your help. As you have probably heard me say before, there is nowhere in the Bible (that I know of) that speaks about "eternal life". However, many of our English Bibles use the word "eternal" as the translation of the Greek word "aionios", and so end up with "eternal life" or "eternal punishment" etc. quite incorrectly. "aionios" is the adjective derived from "aion" the noun, which literally means "eon" (a period of time, usually a long period of time, or an age), which has a beginning and an end. So the adjective "aionios" should draw its meaning from the noun "aion", as all other adjective do - as sunny does from sun, golden from gold, australian from australia, etc. The meaning of "aionios" therefore is eonian literally, or of an age, or age-lasting, or age-abiding, or age-during, or some other age-related English word. "aionios" therefore cannot mean eternal, whose meaning is drawn from eternal, a concept without beginning or end. I would like some help choosing which English word to use when translating "aionios" and discussing topics on the blog, and subsequently on the website and in the book. "eonion" is clearly the best, but very quaint, and unlikely to be acceptable to most of our readers. What would you suggest? Add a reason for your choice if you would like to. When you send your suggestion(s), please do so via the Blog at http://barrysgracespace.blogspot.com/. Whenever a new post or comment is placed on the blogspot, everyone of us gets an email showing what's been added. If you do a 'reply' to that email, only I will get it. On the other hand, if you place a 'comment' on the blogsite, everyone gets an email containing your comment. In this way, everyone is alerted by email when something is added to the blogsite and the blogsite keeps an orderly and complete record of the conversations (posts and comments) that any of us have. Also, please remember to sign your comment after you finish writing it, so we all know where the wisdom came from. Otherwise the comment will only identify the commenter as anonymous. Which Bible translation should we use when we are quoting Bible verses? My preference is always for accuracy, so I prefer a literal translation for "theological" discussions. Examples are the Concordant Literal Version (CLV) and Youngs Literal Translations (YLT and RYLT). But I also like paraphrases, as they are much easier to read and understand than the more stilted, wooden literal translations, and I am happy to use them providing they don't stray from the literal, original meaning. Examples are the New living Translation (NLT), The Message (TM), the Good News Bible (GNB) and the Contemporary English Version (CEV). Unfortunately, paraphrases usually reflect the theological positions of their authors. When these positions are in harmony with the truth being revealed in a particular passage or verse, then the paraphrase can be used with confidence, but otherwise cannot. Other popular Bibles are the King James version (KJV), the New King James version (NKJV), the New American Standard Version (NASV) - which are closer to the literal translation end - and the New International Bible (NIV) - which hovers around the middle - of the literal ... paraphrase scale. So we seem to have two options here (given I shouldn't use my own translations). Option A. On each occasion a verse is to be quoted, we use the translation that is easiest to read and understand which is true to the original Greek (NT) or Hebrew (OT). This will result in many different translations being used throughout the BlogSite, a bit like the last post on "The Third View" when 5 or 6 translations were used. Which should we use, or is there a third option? I think I prefer Option A as it makes the verse quoted easier to flow and look part of the discussion being read. Rick Warren uses this option in his books, if you're familiar with his writings. is to write and publish a book about God's extravagant grace. 2. Use the edited, finalised articles to create the pages of a website, eventually to be displayed at www.gracespace.net.au/ and currently hidden away under construction at http://users.ncable.net.au/~barrytatt/. 3. Use the website as the major resource material for the book to be published which will celebrate God's extravagant grace, and possibly be titled "The Good Good News." Any way you would like to contribute to this project will be appreciated and help spread the good good news that the God we love and serve is indeed extravagantly gracious. I will post an updated version of this post every few months for the benefit of those most recently invited to participate and to keep everyone abreast of the progress being made. After we have a sufficient number of articles posted on the BlogSite, we might try to hook up for a conference call on SKYPE once in a while. Does anyone know the bandwidth required per person for conference calls on SKYPE? Mainstream christianity holds two strong, but very different, views about God's plan of salvation. The first view considers that God has selected only certain people to be saved (forgiven and live in harmony with him forever), and that God will have his way and make this happen. It is believed that those not selected, the majority of us, will be tormented in hell forever. The second view considers that God wants all people to be saved (forgiven and live in harmony with him forever), but the choice of whether that happens is up to each individual. However, it is believed that most people will not accept God's offer of life with him and spend forever in torment in hell. Supporters of each view use the Bible to justify their beliefs and yet there is little in common between them. Let's see if we can identify the basic beliefs that underpin each of these views. 1a. God is sovereign, so he makes the big decisions and makes sure they are carried out. 1b. God has already chosen his friends who will live in harmony with him forever. 1c. Hell is severe punishment which lasts forever for those God has not chosen. 2a. God is love and wants everyone to live in harmony with him forever. 2b. We have been given "freewill" and are free to make God's desire happen for us or not. 2c. Hell is severe punishment which lasts forever for those who do not choose what God wants. Both views arrive at the same conclusion, that some of us will spend forever with God while the majority will spend the same forever being severely punished, although they get there by very different paths. And both views claim the Bible supports their conclusion, as well as the particular path they travel to get to it. Although many books have been written and many Bible Colleges teach and promote these views, both views concern me greatly as they lead us to two unacceptable and unbiblical positions. The second view assumes that our will has greater power than God's - the desires of the Creator can be vetoed by the desires of those he created. 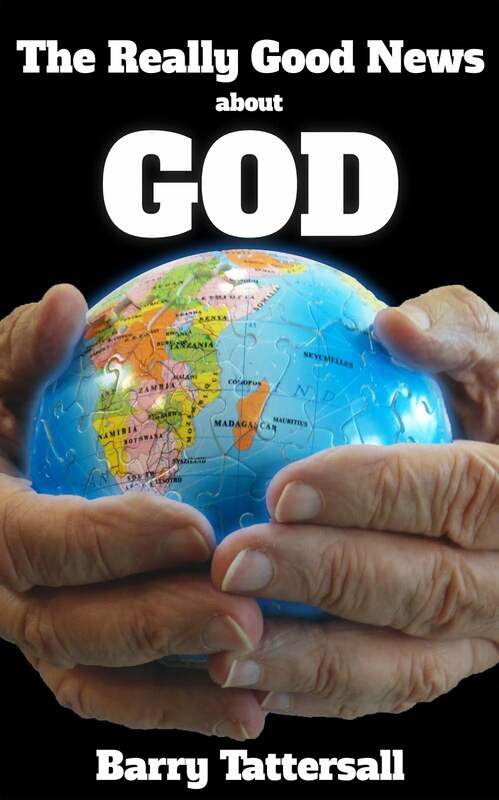 I don't think a Creator who can be outvoted by his creation is worthy of the title "God." God needs to be all-powerful, in control, and trustworthy to be worthy of our worship, respect and service. In fact, in a battle of wills, God has to win if he is indeed God; otherwise we have become god over him. So let's create another view, a Third View, that uses the basic beliefs of both of these previous "opposite" ungodly views, with some slight modifications. That sounds strange, doesn't it, to use all the major beliefs of opposing views to formulate a new one? Before we demonstrate the Biblical support for the GRACE view, please try this little experiment. Consider, on one hand, the mainstream views of God's plan of salvation (Calvinism and Arminianism), in which most people will be excluded from living in harmony with God forever. On the other hand, consider the GRACE view, in which God achieves his loving purpose of reconciling all people to himself and living in harmony with all of us forever. Which view most strongly supports the Biblical concept of a God of love? Which view best describes God’s eventual victory over evil? Which view best honours and celebrates the victory won by the sacrifice of Jesus on the cross? Which view best demonstrates "grace outperforming sin" that Paul describes in Romans 5? Which view most helps us to honour and worship God? Which view gives the better idea of a loving Father raising and disciplining his children? Which view most likely inspires hope? Which view is more consistent with God as a model of kindness and mercy for us to follow? Which view makes it easier for us to introduce our God to unbelievers? Doesn't this seem a much better view than is currently held by mainstream christianity? Let's see if it can be supported by a correctly translated English Bible. 3a. God is sovereign, so he makes the big decisions and makes sure they are carried out. 3b. God has already chosen ALL OF US TO BE his friends. 3c. God is love and wants everyone to be saved (to live in harmony with him forever). 3d. We have been given "freewill" and ALL OF US WILL USE IT to make God's desire happen for us EVENTUALLY. 3e. Hell MAY WELL BE severe punishment FOR MANY, but will NOT last forever for ANYONE. It is interesting that the one belief common to both of the mainstream christian views has no strong backing from Scripture. There is not a single verse in the Bible that says hell is eternal. However in many English Bibles, Matthew 25 : 46 seems to suggest that. Jesus finishes the parable of the sheep and the goats with the statement "then they will go away to eternal punishment, but the righteous to eternal life." The word "eternal" is not a good translation of the Greek "aionion" in both cases in this verse, or in fact, in any verse in which "aionion" is used in the New Testament. "Aionion" is the adjective formed from the noun "aion", which means "age" or "eon" or "period of time", but certainly not an eternity. And to translate this verse using "eternal" as the adjective formed from "aion" to describe the life and punishment in the next age contradicts so many other verses, including many that we have quoted above. On the positive side, as well as verses that declare God's intention to have mercy on all, there are some verses which imply that punishment is for a time or at least for a period which has an ending. Luke 12 : 47 - 48 suggests different degrees or lengths of punishment, as do Matthew 10 : 15 and Matthew 11 : 24; certainly not eternal or everlasting punishment. And even Matthew 25 : 46 itself contains another interesting aspect. The Greek word for punishment in this verse is "kolasis", a word which meant "pruning" or "remedial punishment" in Greek literature. Trees are pruned and children are punished so they will grow better, take a better shape or produce better or more fruit. So "a period of pruning or remedial punishment" is an appropriate term for Jesus to use here if he has the eventual reconciliation of all in the back of his mind while talking to this crowd. In summary, the GRACE view begins with the the most basic of all Christian beliefs, expressed in a song many Christian parents teach their young children. It adds the Biblical truth that God is sovereign who desires to save all, without exception. Simple logic then draws the conclusion that God will save all. And the process of salvation of all? In order to be the Saviour of all, God has to save all. And since salvation comes through faith, he has to give faith to all. This article has been a brief overview of a topic which has become unnecessarily complex and strongly contested over the centuries. A more thorough discussion of the issues involved and of the Biblical support for the GRACE view can be found elsewhere on this website for those interested. If after reading those other articles you still have questions or points of view that you feel have not been addressed, please write to us using the "Contact Us" link on the home page.